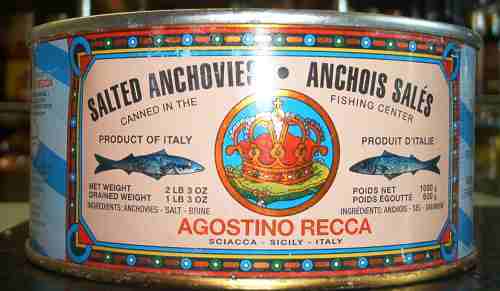 If you’re making a proper Caesar salad, it’s going to have anchovies. Did I take my vitamins this morning? Why do I have 12 cans of chickpeas? 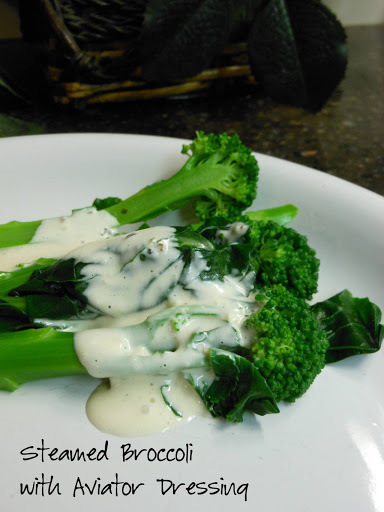 And, although I’ve made it countless times for more people than I care to count – the recipe for Caesar Dressing. Granted, it’s not a big thing. Unless you really want that dressing for your freshly steamed broccoli, and in that case… Paul Newman’s bottled Caesar stuff (watery Italian dressing with cheese in it) just isn’t even going to come close to doing it. … so I cheated. I googled it. It would have been easier digging around in my own resources for the recipe. There were “Classic” recipes made in the processor and blender, using mayonnaise, no anchovies (that particular person didn’t like the fishy taste), Dijon mustard, coarse mustard, no mustard, jalapenos, bacon (?) … and the list goes on. But all these recipes said they were Classic. A Caesar Salad doesn’t have anchovies… never did. An Aviator salad does. And while an Aviator is essentially the same thing as a Caesar (with anchovies), it has it’s very own name… and recipe. So, to dispense with all the hoo haa about what is and isn’t a Caesar, I’ll just stick to the classic preparation for the better and lesser known of the salad dressings. Peel the garlic cloves then put in a large wooden bowl. Mash the cloves against the sides of the bowl with the back of the fork; rub the pieces against the bowl until they begin to disintegrate. Remove 1/2 of the mashed garlic from the bowl and discard. 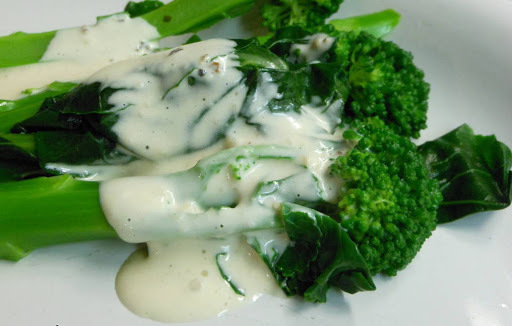 Slowly drizzle in the olive oil mixing with a wire whisk until a creamy mayonnaise type dressing forms.